Shake. Like a lot of cannabis terms, it means different things to different people. And how people define shake does a lot to determine whether they love it or hate it. “Leftovers” might be the simplest description. Shake consists of small pieces of cannabis flower that break off of larger buds, generally as the result of regular handling. But just like leftovers, shake can be delicious or disgusting. Knowing what to look for in shake can mean the difference between a cool, clean smoke and a coughing fit. Rather than fall back on old stereotypes, we talked to budtenders, dispensary managers, and cannabis connoisseurs to determine what exactly shake is and when (or whether) it’s worth buying. You’re most likely to encounter shake at a medical dispensary, especially one that keeps its flower in large jars. As budtenders shift the nugs, bits break off and collect at the bottom of each jar. The shake is collected and then either sold on its own or used to make pre-rolled joints. If you buy shake separately, it’s almost always cheaper than flower that’s still in bud form. So the question becomes whether the discount is worth it. The answer depends largely on what you’re looking for in cannabis — and how you plan to consume it. If you’re someone who regularly grinds your flower before using it, shake might be worth considering. Joint, blunt, and spliff rollers are an obvious audience, but even fans of glass might be interested if the quality is good and the discount is deep enough. 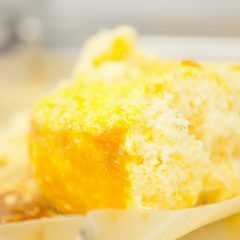 Bakers and other edible makers should also take a look: If you’re making cannabutter, it doesn’t matter much if there are even a few small stems and leaves mixed in — just be sure to strain the butter well before using. Another place you might find shake is in a pre-rolled joint. Using shake in pre-rolls allows dispensaries to use every last bit of cannabis, but it can also raise doubts about quality. Why? Think in terms of leftovers. Say you have a steak dinner and you’re planning to roll the remnants into a burrito later on. If you save the best pieces of meat and make the burrito the next day, you’re in for a solid meal. But if you save just bits of gristle and forget about them at the back of the fridge for a week, you might be in for a nasty surprise. It’s less about the fact you’re using leftovers than it is about the quality of those leftovers. Because pre-rolls come wrapped in paper, the meat (as it were) is already in the burrito — it’s hard to know what’s inside. Sometimes businesses will fill pre-rolls with sub-par cannabis simply because they think they can get away with it. “A lot of the pre-rolls that are out there are made with a combination of plant material, and sometimes that includes smaller stems,” said Lauren, who spent three years working in a Seattle medical dispensary. 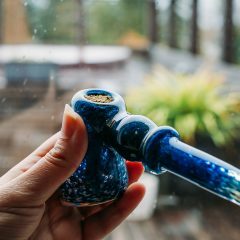 That can make for harsher, less potent, and less flavorful smoke — and sometimes a headache, to boot. Pre-roll experts say the surest way to know what’s in your pre-roll is to cut it open and examine its contents. “If you were to take a nice bud and put it through a grinder, dump it out, and then open up a pre-roll and dump it out, it should be the same,” said Patrick Rooney of Vashon Velvet, a Washington grower that makes premium pre-rolls. Does shake deserve its often poor reputation? As it turns out, yes and no. By definition, shake is just smaller pieces of flower. If the nugs are of good quality, it’s reasonable to expect the shake that falls off to be good, too. But that’s not always the case. There are a few common reasons why shake gets a bad rap. Another problem with shake is that it can contain stems and other bits of unwanted plant matter — the result of picking apart bigger nugs. Sometimes dispensaries or pre-roll producers will spread shake over screens and remove all that junk, but other times they don’t. Worse still is when growers try to pass off trim as shake. People sometimes use the words interchangably, but trim is not shake, and shake isn’t trim. Trim is the unwanted plant matter that’s cut away from cannabis buds before curing. It’s not a pleasant smoke — it can smell like a campfire and taste “planty” — and it’s far less potent than actual shake. Another consideration for medical patients: Sometimes shake is combined from various strains, so it’s important to be clear on what you’re getting. Ask questions and explain your needs to dispensary staff. 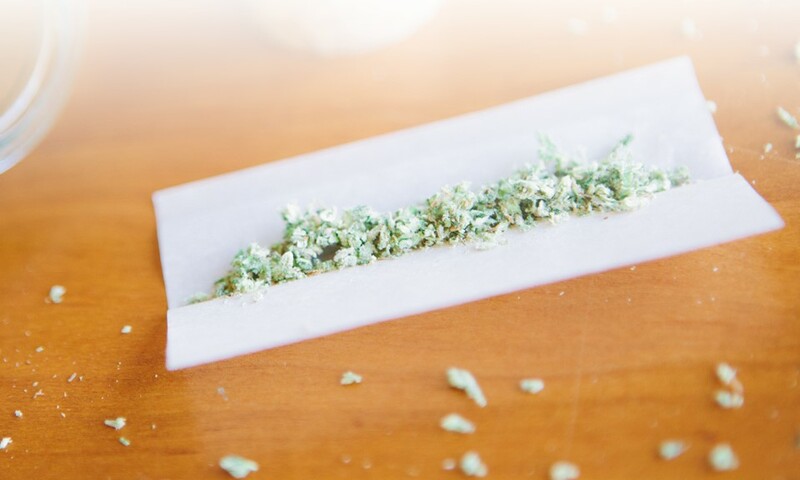 If strain-specific effects are important for your treatment, you may want to avoid so-called mystery or rainbow rolls, pre-rolled joints made from a mix of different strains. Ultimately, however, shake shouldn’t suggest low-quality cannabis any more than leftovers should suggest low-quality food. In certain circumstances, such as rolling joints or making edibles, shake can be a perfect choice, increasing convenience and cutting cost. Going in to this article, I wanted to uncover a phenomenon I hoped to dub the Doritos Principle. It would go like this: Just as the bottom of a bag of Doritos contains smaller, uglier, but incredibly flavorful chip-bits, shake should be smaller, uglier, more powerful pieces of cannabis. Right? You’re familiar with how Doritos flavor dust works. Isn’t shake just little bits of flower rolling around in bottom-of-the-bag kief, the potent gold dust that coats cannabis buds? Not everyone I talked to saw it that way. But some did. Rooney at Vashon Velvet, on the other hand, thought there might be something to the idea. 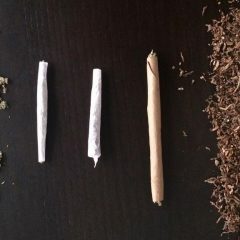 What’s the Difference Between Joints, Blunts, and Spliffs? I think the best kept secret about Marijuan is that the leaves when eaten get you really stoned. Had MJ leaves fried with butter and potatoes. Cooked about 20 minutes, added baby green spinach cook till spinach was done. added two eggs cooked 5 minutes. flipped and cooked the other side. interesting! does it have to be heated before consuming or just as is?